Open Spaces are very important part of every town not only to allow safe play for our children but to provide leisure areas for the community and conservation areas for our wildlife. 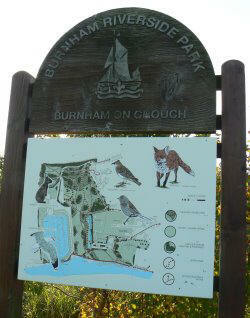 Burnham has one large open space at Riverside Park plus two smaller open spaces at Springfield Road and Hester Place. The spaces are all operate by Maldon District Council Parks Team. Park Rangers provide patrols of the parks during the day until the early hours of the morning and occasionally for 24 hours a day. Should there be a problem in the park they can be contacted by a mobile telephone number listed below. Riverside Park is an extensive area of mown and long grass that is runs between the River in the South and the railway line in the north. The Yacht Harbour to the West and Station Road to the East. Facilities include play sites for toddlers, children and teenagers as well as superb outdoor sports facilities and the use if Dengie 100 Sports Centre which is sited in the Park. 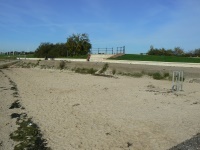 A small sand beach is found alongside the Riverside footpath. 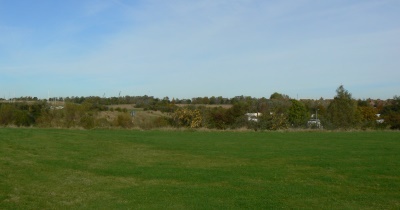 A picnic area with tables is sited to the east on a plateau overlooking the River Crouch. The long grassed area and reed beds are a haven for wildlife, butterflies and wild flowers that can be enjoyed on foot through the network of all weather paths. To the east metalled footpath follows the route of the sea wall with moored houseboats, wildfowl and of course sailing activity on the River alongside. The Green Flag Award is the National Standard for excellence in parks in the United Kingdom. Riverside Park was awarded a Green Flag in 2007 which it retained in 2008, 2009 and 2010. As part of cuts no application for green flag status has been made since 2010. 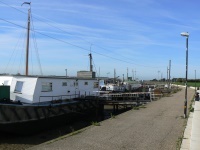 "This attractive park enjoys a pleasant setting and unique location next to the River Crouch, Quayside and Burnham Marina with easy access to the historic town centre with quaint shops and pubs and plenty of places to eat. Riverside Park has something for everyone with well equipped play areas for children and young people, picnic areas with attractive river views, formal and informal sports pitches and ample seats to sit and enjoy the views. The exposed riverside location means plenty of opportunities for kite- flying. The country park has a varied landscape with slopes and mounds, open grasslands, copse planting and a wetland area with a boardwalk. A network of paths, some of which have all-weather surfaces and are suitable for wheelchairs and children's buggies, offer opportunities for pleasant walks along the river, by the Marina, around the park and into the wider countryside. Community task days, lead by the British Trust for Conservation Volunteers, take place on a regular basis and provide further opportunities for practical involvement in the park. Toilet facilities have been totally refurbished and are open to the public on a daily basis." Riverside Park is also home to the Parkrun every saturday. A nice open space that was created from a disused gravel pit. Access is gained from Hester Place or The Pippins. facilities include a children's play area , basketball hoop, football area and a small wooded wildlife area. A friends group operates for Hester Place. To visit a page on the Friends click here. 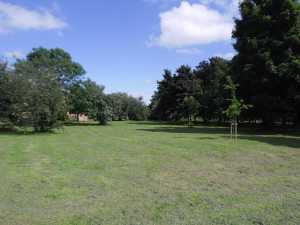 This park performs the important duty of acting as a buffer between the Springfield Road Industrial Estate and the Housing areas of Burnham. There are no formal facilities although the mature trees and mown grass make it a nice area to walk through.